In order to correct a behavior, we have to find the root of the cause. Do you want to reach your child’s heart and not just punish for bad behavior? If so read on….. 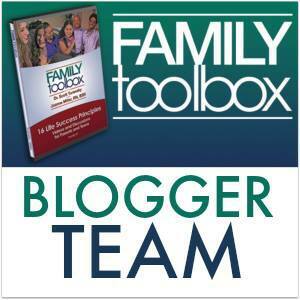 I was asked to become a member of the blogger team for Family Tool Box – a resource brought to us by the National Center for Biblical Parenting. As a parent of three precious boys, my days are long and my job is rarely easy. In fact, the task can be daunting. Unfortunately, as my precious gifts entered the world, I was not given a handbook, or in this case a tool box, with instructions or recommendations needed to raise them. How much easier would it have been to follow simple instructions? Instructions like you have when assembling furniture or putting together toys? We are taught at a young age to react. Depending on our environment (i.e. friends, parents, teachers, etc), we learn to react in either a negative or positive manner. We often apply what we learned when we become parents. We want to jump in and react to our children’s behavior and set up swift consequences because that’s how our parents often times dealt with our behaviors. However, are we reaching our child’s heart and reacting to the cause of the behavior, or are we just reacting to the behavior itself? When Samuel was preparing to anoint a new king in 1 Samuel 16, he thought he could identify who that person would be. It was customary at the time for the oldest of the male children to be anointed king. However, God had a different standard for evaluating people. As Samuel stood pondering the various candidates for the job, God shared a different way of evaluating a person than Samuel was used to. God said, “Man looks on the outward appearance, but God looks at the heart” (1 Samuel 16:7). Out of all the boys in the family, God chose the youngest of the boys, David, who would eventually be called a “man after God’s own heart.” (Taken from the Family Toolbox workbook page 6). As you can see in lesson one of this workbook, it begins with the heart. For example, your child fails a test in school. Do you immediately punish the child or do you inquire why he failed the test? The heart of the problem could be in his realm of control (i.e. not prepared), or the heart of the problem could be behind his realm of control (i.e. learning disability). The reasons are endless, but the point is we must get to the root of the problem. Now, having said that, I’m not saying that at some point we should not remove privileges or take action. Lesson 1: It Starts with the Heart. Being respectful even when it’s hard and how to develop internal motivation. Lesson2: Follows Instructions Well. Helps to develop healthy habits for following instructions. 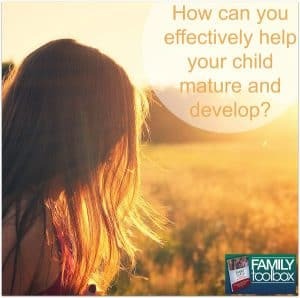 Looks for ways to teach a child to contribute to family life. Lesson 3: Handle Pressure Without Losing Your Cool. Solve problems instead of generating conflict. Instead of sarcasm, develop the skills of a peacemaker. Lesson 4: The Value of Correction. Learn to value correction and to apologize well. Lesson 5: The Importance of Responsibility. Develop a plan for being responsible and take responsibility for your mistakes. Lesson 6: Accept NO as an Answer. Train Yourself to Accept No as an Answer. Avoid Arguing. Lesson 7: Deal with your OWN Anger. 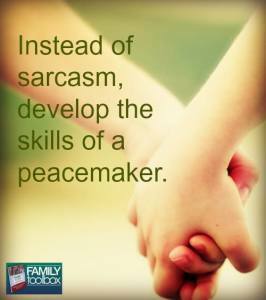 View your family as a team and look for ways to work together. Learn Self-Control in order to manage your anger. Lesson 8: Consider the Needs of Others. Practice flexibility when your plans change. Learn to handle unfairness well. There are many tips I gained from this program. Previously, I blogged HERE about the Total Transformation program. The Family Tool Box is quite different as this program is more heart-based and weaves Scripture throughout the lessons. I love having the Word of God to pull from and help guide me in training up my children. This is an excellent starting point for families. I did, however, struggle with a few things in this program. The lessons and tips were very good, but there didn’t seem to be a conclusion to the lessons. The lessons ended before I knew how to apply them to everyday life, or in this case, my situation. I needed to see a bit more the application process especially in learning how to apply the lessons to my oldest, who is also our most challenging child to raise. However, my specific situation may not be as unique as yours. I do believe this is an excellent program and very good starting guide for parents. This might be the perfect program for you. I give it a 4/5.